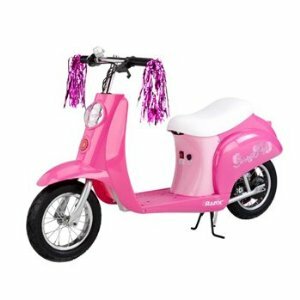 Whining kids can be annoying, but when you have a daughter who asks for an electric scooter, maybe you have to check this one, and you won’t be thinking twice about buying her one. 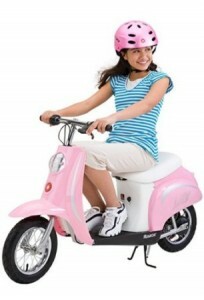 It is a great way to show your kid how to maneuver a moped as well as learn the techniques of streets and traffic. If you are out to teach responsibility to a kid, then this may be one of the best ways to do so. One charge can last long enough for your kids to have so much fun. It may not last a full hour, but for kids who play and chat, this moped packs just enough power for child’s play. Batteries can be recharged in only about 8 hours, and after that, it would fun fun fun for your kid! She’d be enjoying riding this scooter, but she must be careful on turns because it does not turn as sharp as a bike or a real motorcycle. With the small size of the moped, you need to find a small space for it on the side of your garage. Also, check out the Razor E300S scooter review. If your kid knows how to ride a bicycle then siding in a scooter is going to be a breeze. This is just like mounting a bike without having to pedal yourself. I know your kid must be pretty excited to get on board but make sure that the helmets and safety pads are on. 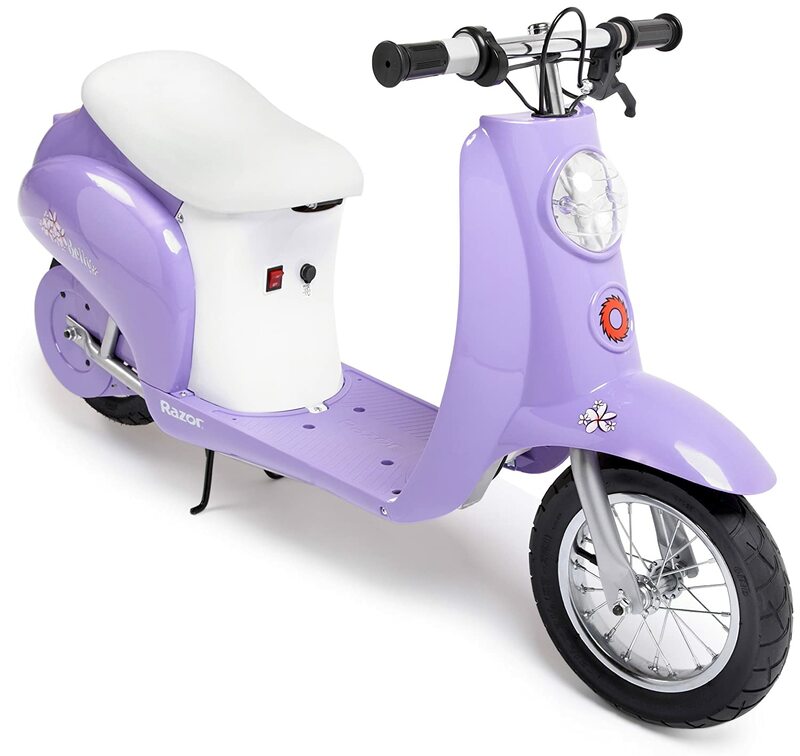 You also have to follow the regulations on the use of this moped for children. You must have encountered the noisy sound of a motor from a neighborhood kid who rides his motorcycle on the street. If that is the reason that keeps you from getting one for your daughter a scooter then think again. The Razor Pocket Mod is an electric scooter that has a powerful electric motor which can go as fast as 15 miles per hour. On a single charge, your kid can run some errands for you if the journey from the store and back is about 10 miles.